A commemorative baby spoon is a lovely traditional newborn keepsake. 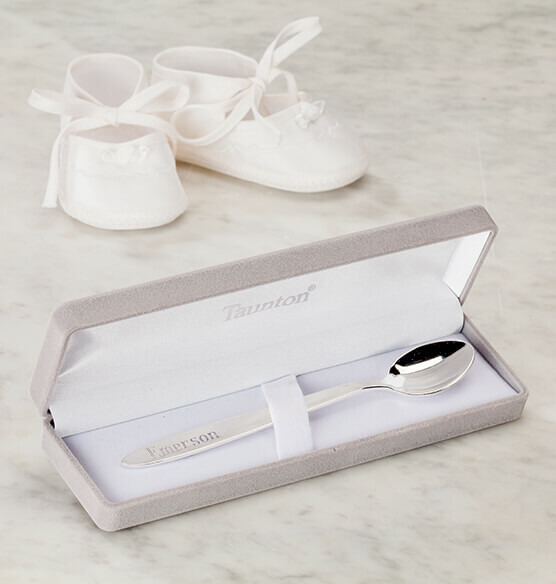 Keep the tradition going strong with this silver plated baby spoon, personalized to create a memorable gift they’ll treasure. Comes in an elegant gray flocked keepsake box imprinted with the Taunton brand name. I'm having a new grandbaby. Can personlaization be: 'Katya' along with birth date eg 11-21-2018? BEST ANSWER: Thank you for your question. 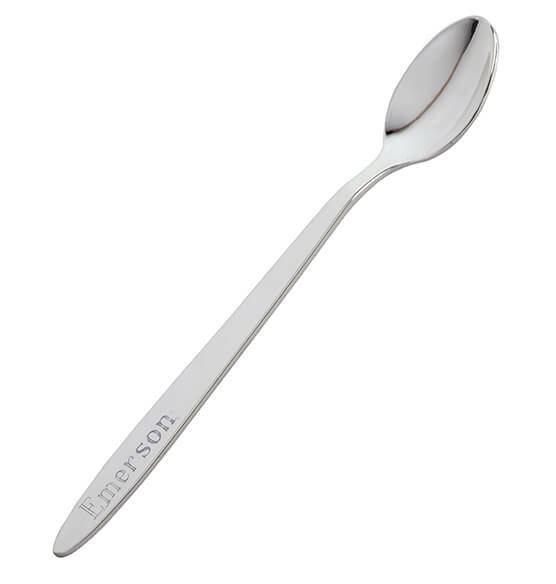 The Spoon is limited to only 8 characters of personalization. We hope this information will be of help to you.